We have a steady supply of broken ostrich egg shells from South Africa. 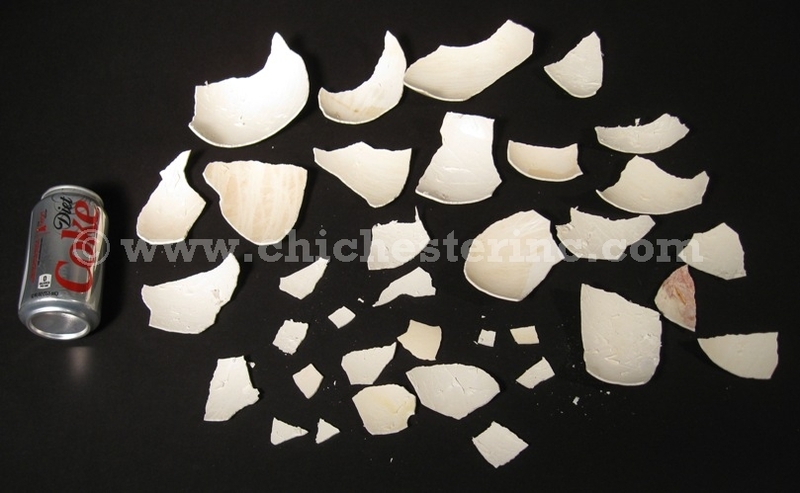 The pieces are ideal for use in craft projects and for making Bushman Art. For example, when I was in Cape Town, I bought some necklaces that were comprised of round discs made from ostrich egg shells. Most of this work is being done in Botswana. 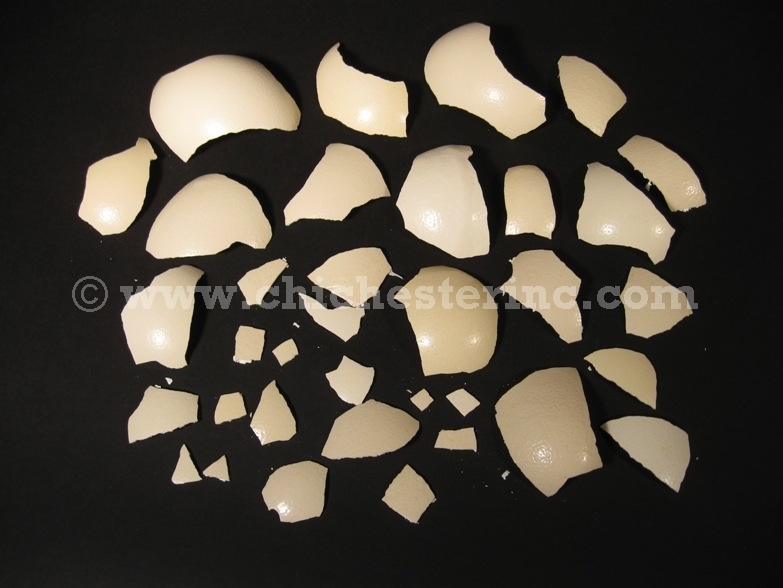 The egg shell pieces in stock at the moment are from white, grade A eggs. Sizes vary. Sorry, but we cannot sort the pieces by size. Genus and species: Struthio camelus. Ostriches are ranch raised in South Africa and are not endangered.